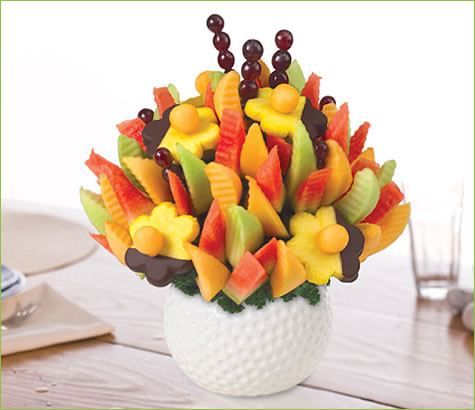 Enjoy juicy watermelon, chocolate dipped pineapple daisies, cantaloupe, honeydew and grapes. A perfect complement for summer picnics and barbeques! Available for a limited time only!